Browse: Home » Say Merry Christmas with an Ebook! Say Merry Christmas with an Ebook! Fisher Hill’s English for the Spanish Speaker series has helped thousands of Spanish-speaking teens and adults learn English. There are four workbooks in the series each workbook has stories, activities, conversations, vocabulary lists, games, dictionaries and answer keys. These workbooks are now EBooks. These electronic books make great Christmas gifts because there is no shipping involved. Just download the book! Each workbook has a CD that can also be downloaded. Each CD includes the vocabulary lists, conversations, and stories from the books. Students can listen to the pronunciation of the words for each lesson. If you have a parent, friend or relative who needs to learn English, these workbooks make great Christmas gifts. You can also order these books as a hard copy. Go online to see the books. 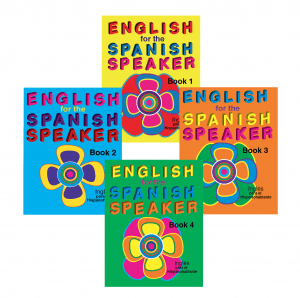 When you log in to www.Fisher-Hill.com, you will see two yellow English for the Spanish Speaker books. Click on the first one if you want information in Spanish or click on the second book if you want information in English. Have a very Merry Christmas with family and friends.